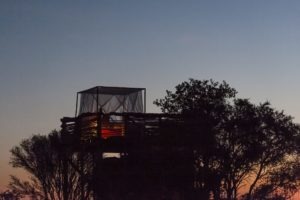 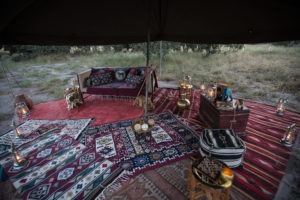 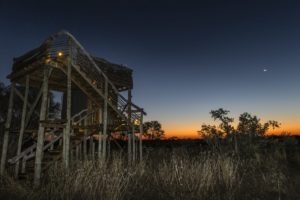 Providing a unique style, Sky beds is more of an experience than any other typical safari camp. 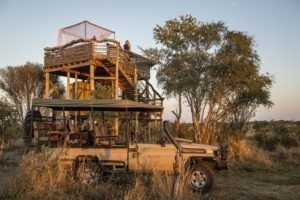 It offers you the opportunity to sleep up high on a safe platform, with only a mosquito net as a barrier, right by a busy waterhole! 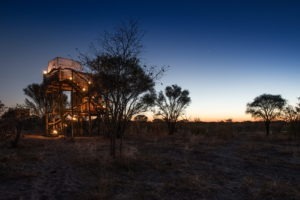 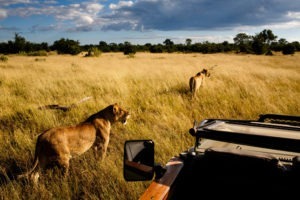 Skybeds is hidden, deep in a huge private concession, where they have an exclusive waterhole as the center of attention. 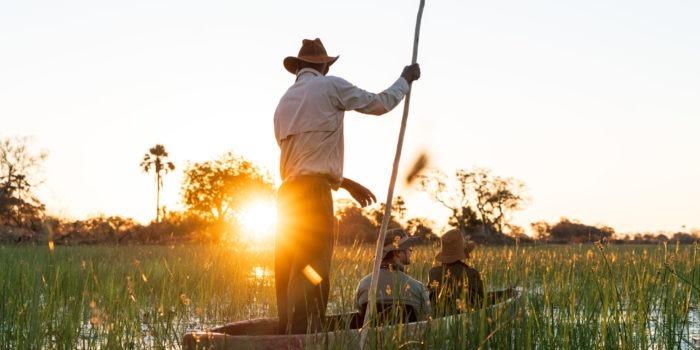 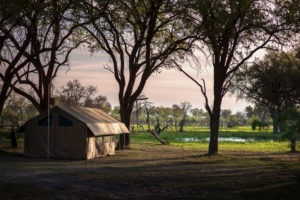 During the drier months of the year this becomes the only water in the area, drawing in a large variety and concentration of wildlife, right to the camp! 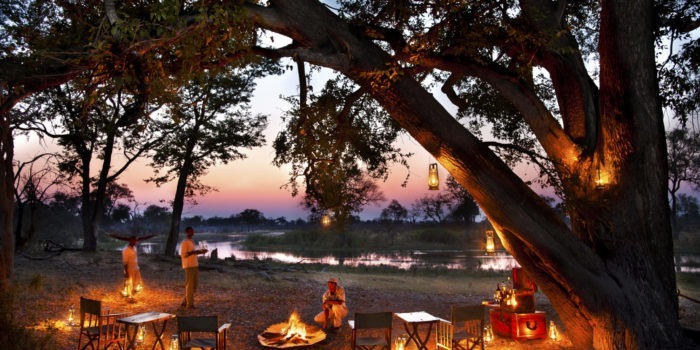 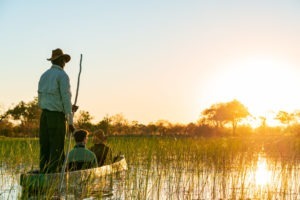 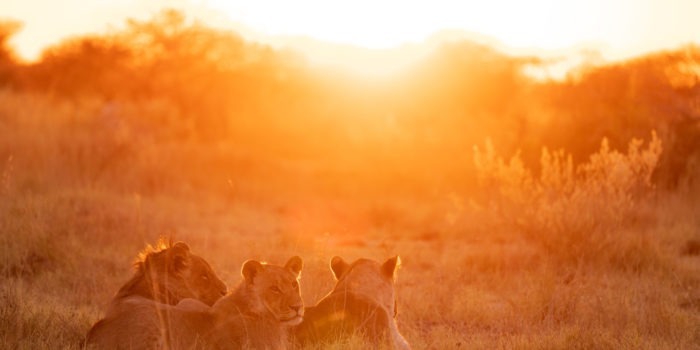 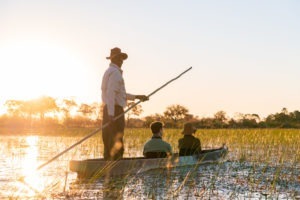 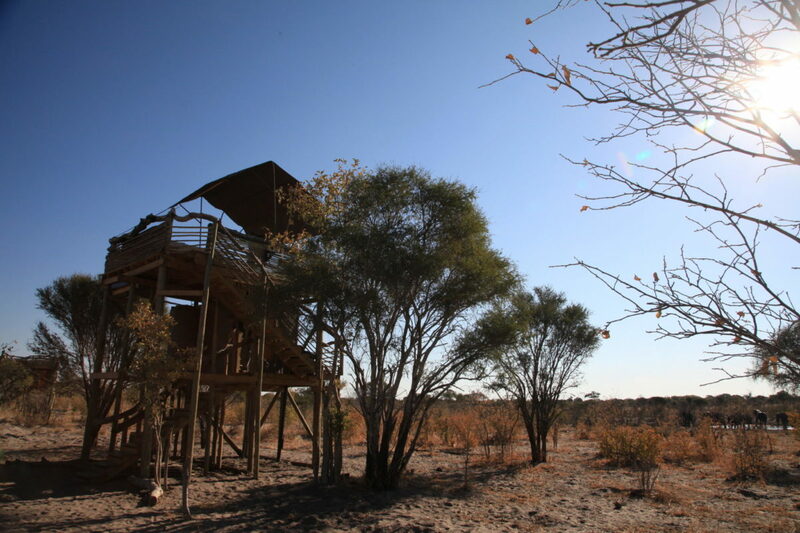 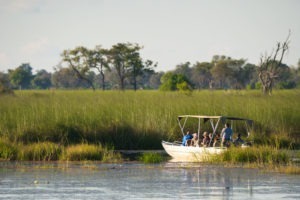 The camp is simple but unmatched in Botswana where luxury is normally king. 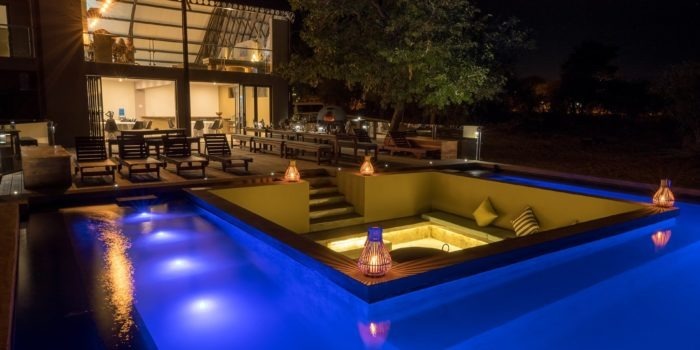 Here you will find no such thing, as there is no wifi, no infinity pool and no butlers chasing you around. 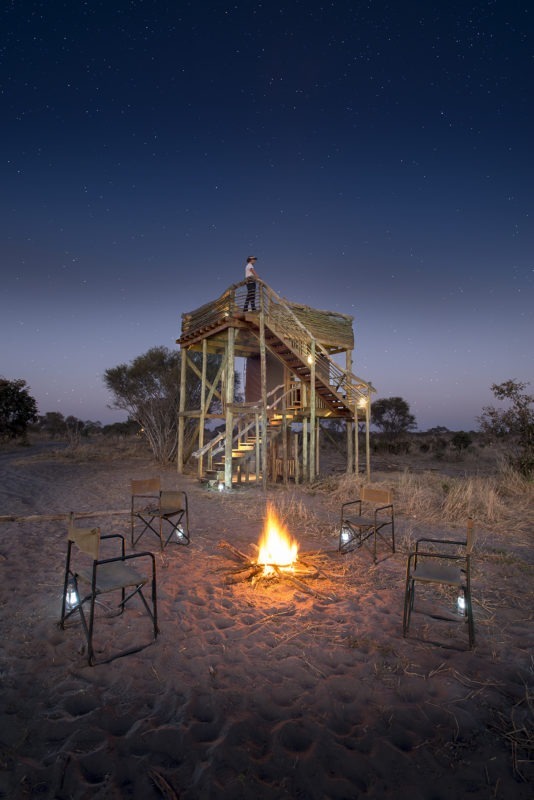 It’s just simple, comfortable, safe and WILD! 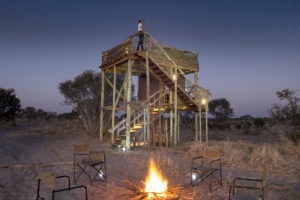 Each of the three Skybed’s consists of a four-meter two story platform. On the first level is a private bathroom containing a flush toilet and hot shower. The top level is where the magic happens, a comfortable double bed with mosquito net, additional seating and that’s it! 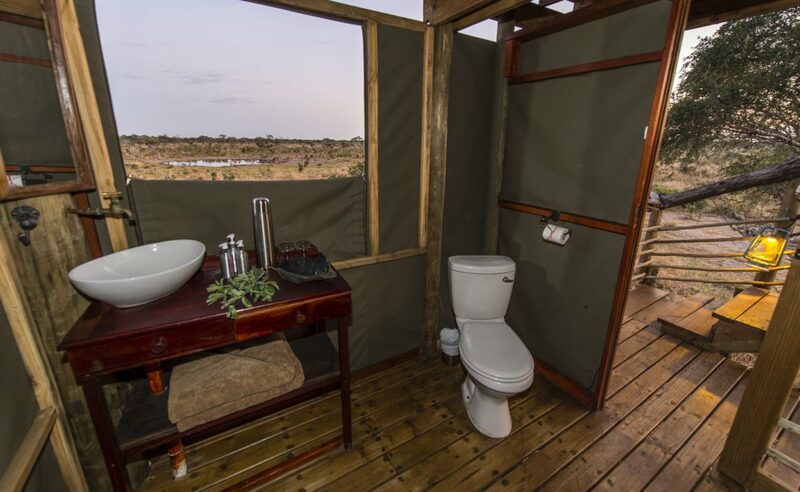 Oh, don’t forget the view onto the nearby waterhole! 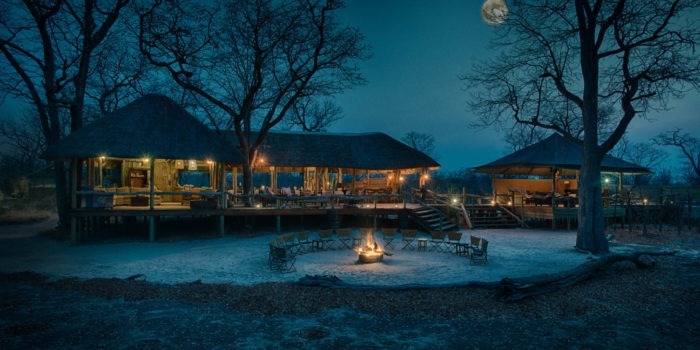 There’s not much of a main area, simply just a fireplace where meals are both cooked, and dinner is served. 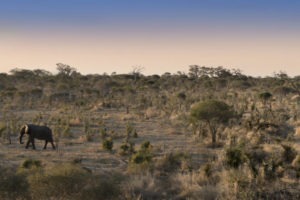 The way safari used to be when it all began! 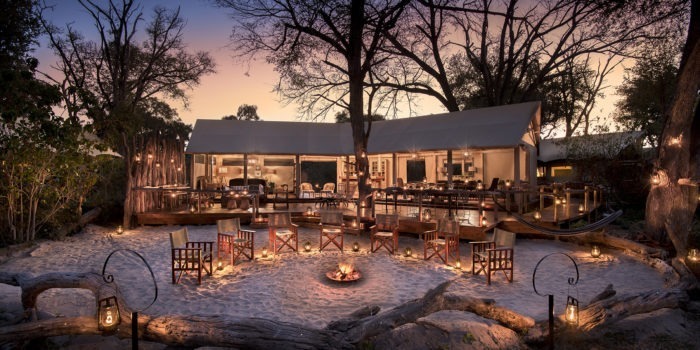 There is an additional sunset deck which is perfect for those sundowner beverages. 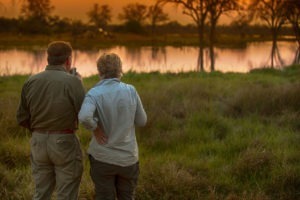 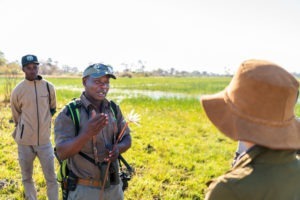 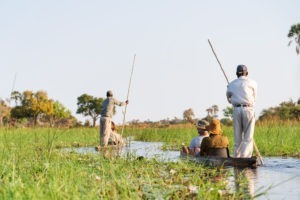 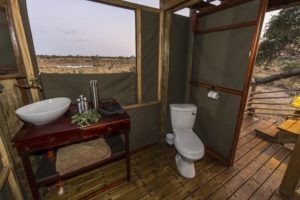 The activities on offer are both game drive and walking safaris however the main focus of the camp is around the waterhole as the surrounding area can be difficult for wildlife viewing. 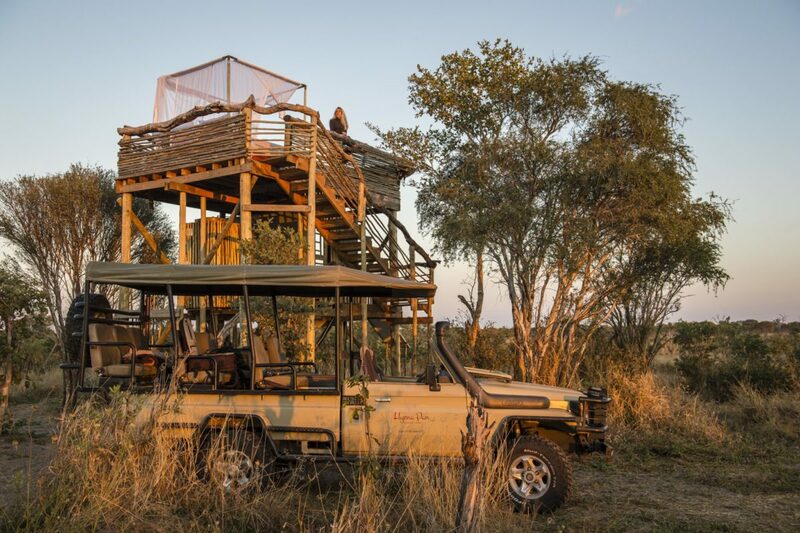 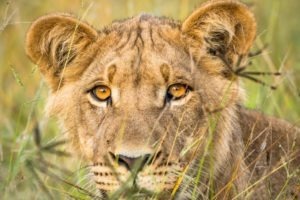 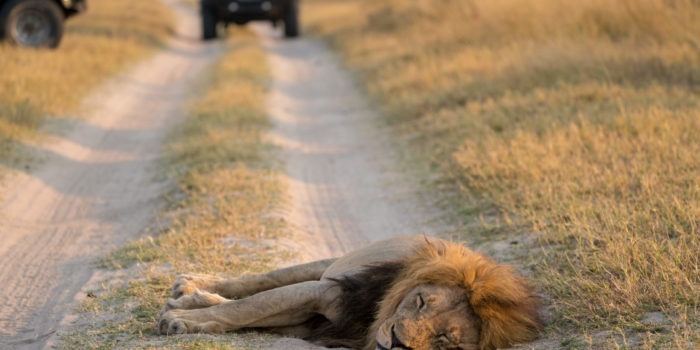 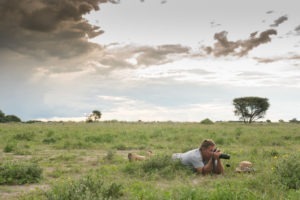 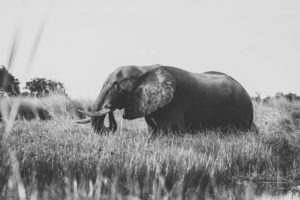 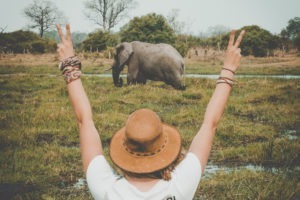 It is for this reason that we recommend staying at Skybeds towards the end of a safari for the arm-chair safari experience allowing the wildlife to come to you. 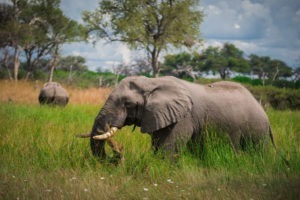 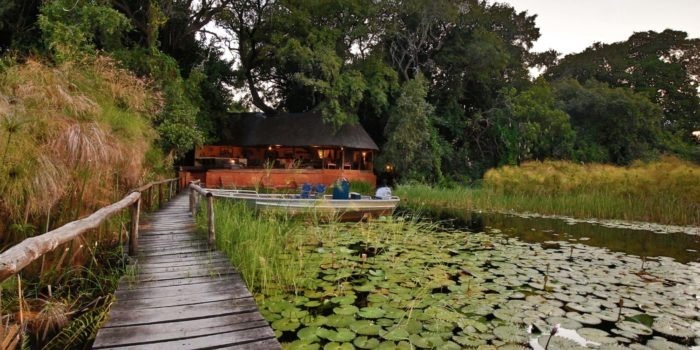 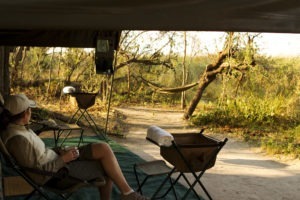 The camp also sports a ground level hide which is ten meters from the waterhole action providing excellent sightings. 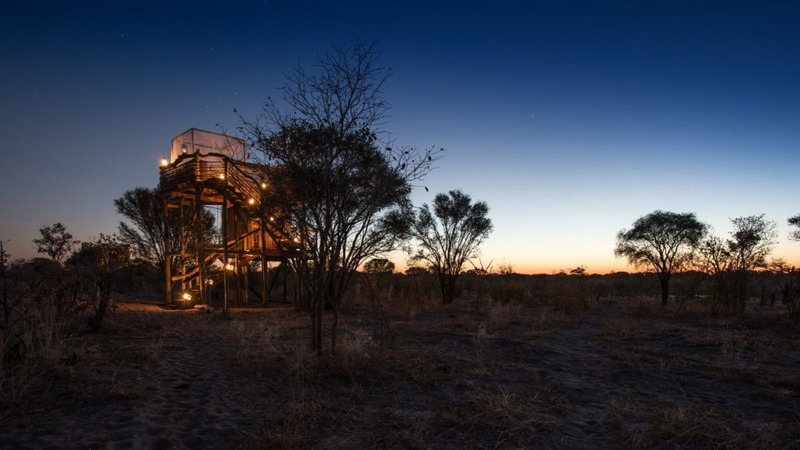 No wifi, no pool, no luxury just comfort, safety and nature. 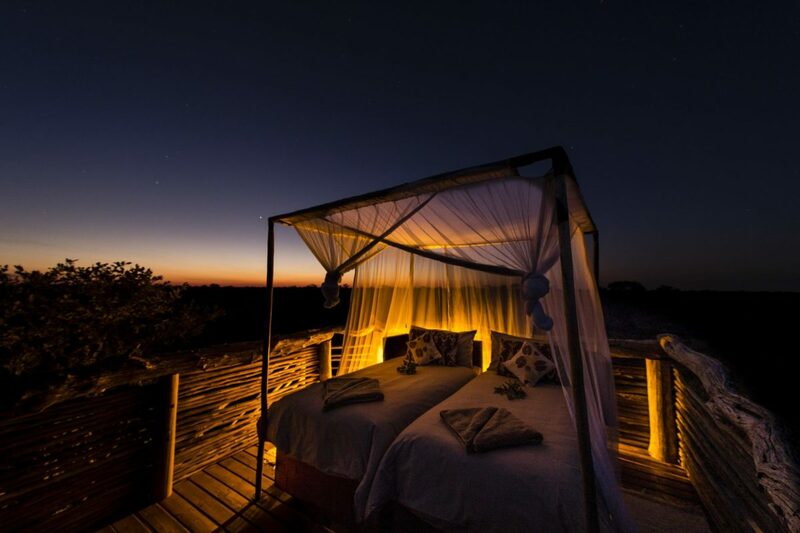 Only 3 sky beds making this very intimate. 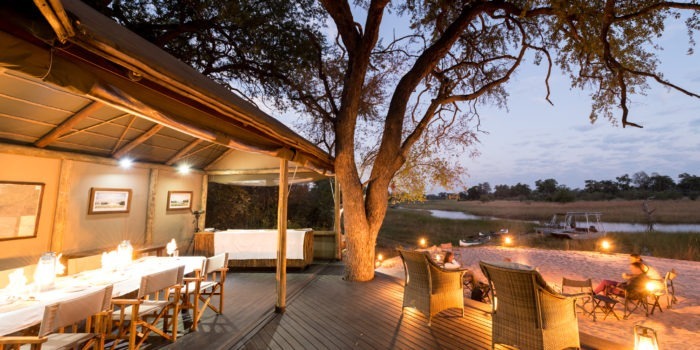 Perfect for the ending to a safari for winding down. 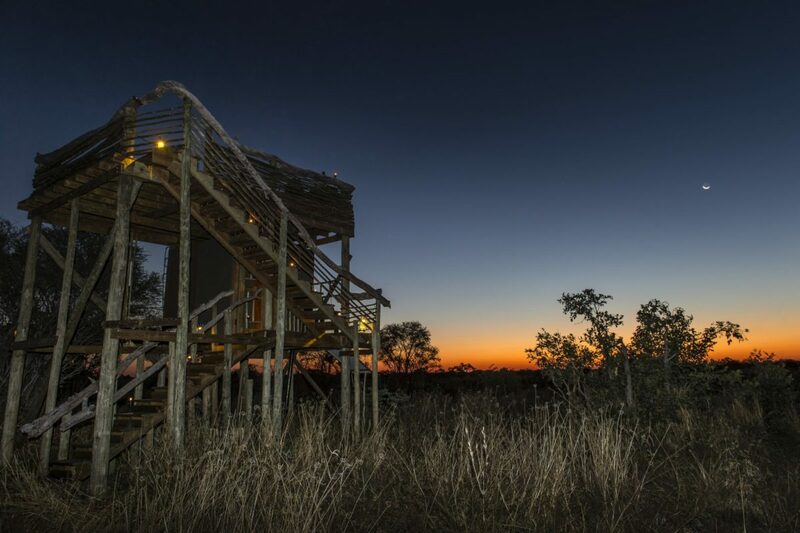 Sleep under the stars in your own private tree-house style deck.